After all these years it is still of interest to look back at Australia’s most arduous motoring event and wonder why some succeeded and others fell by the wayside. As the co-driver of Car 81, the first placed private entry, I formed my own views on the matter which, until now, I have tended to keep to myself! Luck! There is always luck in motor sport, indeed in sport generally and even life! We broke a tie rod when foolishly trying to pass someone (Harry Jensen actually) on a stage where we were all going to be early. But of course we didn’t know we would all be early so we had to try. Anyway, as luck would have it, we probably would have been 15 minutes early so when it took about that much time to change the tie-rod, we ended up losing only 4 minutes. A lucky escape as it could easily have been 15 minutes more. The Brock car was lucky to have had their tie-rod incident on a similar stage where the fast crews would surely have been 20 minutes early. Notwithstanding the mystery about why they were so slow, they ended up dropping 22 minutes, indeed rather a lot. However, had it happened on a different stage where all crews were late they most surely would have lost a further 20 minutes and the event. But mostly it was not about luck, or as the old saying goes, you make your own luck. The list of factors that needed to be ‘right’ to win this event were considerable and ranged across the car, the tyres, the crew and the service backup. The same went for privateers who never really expected to be able to win, but who aimed to do the entire event and place as highly as possible. It is difficult to say which of these factors was most crucial, because in the end, if any one of them was lacking then there was the potential for failure. There were many extremely well prepared rally cars that lined up in Melbourne on August 5th 1979, and equally, there were plenty that were not so well prepared, perhaps because of lack of money, lack of experience or simply lack of time. But far and away the most important aspect of preparation was the actual testing of the car before the event on terrain that was in some ways similar to much of the event – high speeds, sand, rough tracks, etc. It is now no secret that the MHDT ‘test’ Commodore was used for several months before the event to find the weak spots and hopefully fix them before the event. It seems that the Cortinas never had the same level of testing simply because they ran out of time. Given that Dunkerton’s Volvo regularly tried to fall apart underneath him, it is reasonable to assume that they also did little or no testing. Our car was tested, although by no means exhaustively, with two lengthy trips in western Victoria in the month prior to the event. Perhaps just as important as the testing of the cars was the testing of the crews and the development of good working relationships. Again, the Brock/Philip/Richards team did this quite extensively, also in western Victoria in the months before the event, driving hard, getting bogged, and finding each other’s limits. We did that also, covering a fair proportion of the first division from Melbourne as far as Renmark, not that we knew the route, but we made some pretty good guesses. Of course there were crews that had worked together for years but usually as two man crews, such as Bond and Dawson-Damer, Fury and Suffern, Bell and Boddy, and many others. But add a third crew member and a new car and it’s a new ball game. Did they go and test themselves for extended periods? The makeup of crews was obviously a key success factor. A successful crew needed at least two, preferably three good competent drivers. A successful crew certainly needed at least one ‘spanner man’. But a successful crew needed one or preferably two good co-drivers who could not only navigate and manage the paperwork, but who could strategize, and keep an overall sense of awareness of what was going on. The ability for several crew members to operate on a lone watch was certainly a valuable feature, and with all due respect to many of the best drivers, unfortunately many can’t navigate and often have little idea where they are! A situational awareness was crucial to be able to make decisions about when to push and when to back off, judging whether a stage would be cleanable or crucial. Such situational awareness was also crucial in picking the inevitable stuff-ups in the route instructions and being able to press on and not drop both time and road position. It is interesting to reflect that some crews were quite balanced with two equally good drivers, as was the case in Car 81. Of the top crews, many had a main driver (Brock, Carr, Bond, Fury, Cowan, Dunkerton, Portman) while some had a sprinter and more conservative driver (Aaltonen versus Mehta, Bell versus Ferguson). While it was certainly possible for a single lead driver to do all of the competitive stages, it was nonetheless a big ask. Ferguson and Bell acknowledged that they swapped whenever it seemed appropriate and probably did about half and half, whereas the cars with a lead driver usually only had the co-driver take over on transports. On the parts of the event where there were few transports (e.g. across the Nullarbor) it must have been a real stretch for those lead drivers, facing similar challenges as the two-man crews in terms of fatigue. It is also interesting to contemplate the extent to which long distance event experience counted. 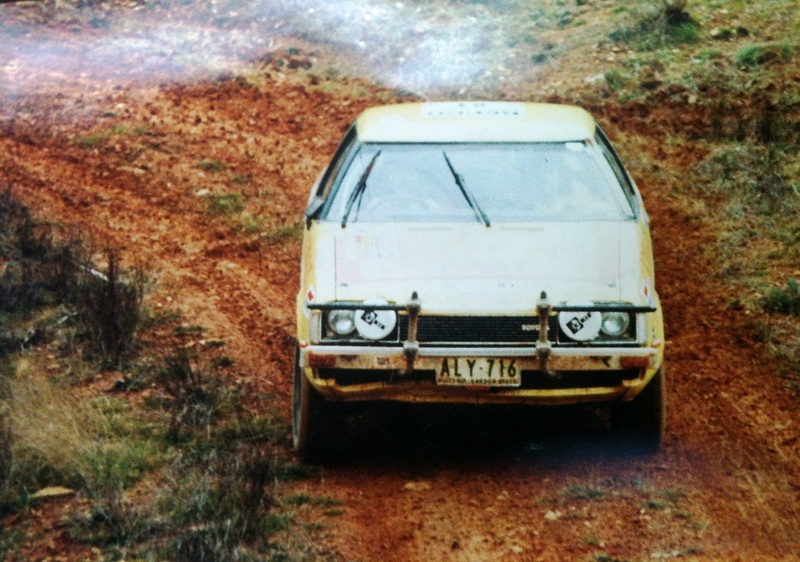 Many crews regularly competed in one or two day events, whereas some had done the arduous four day Southern Cross Rallies. Those who had done the transcontinental events certainly knew about non-stop motoring for many days without a break, but unless they were also regular rally competitors, they had not necessarily been exposed to the kind of intensity of competition that the Repco presented. I had only done one Southern Cross (as a navigator) and was very concerned about whether I could keep going, mostly as a driver, for two weeks. Experience organising some 3-4 day events had helped, as did a 3-4 day drive up to Birdsville and back with my brother in the May before the event. Other than looking at some likely parts of the Repco route, that trip aimed to test out ability to just keep on going for several days. Road position was often a crucial factor in the Repco. Not only did being down the field expose you to cut up roads and lots more dust, but it sapped your morale when you were not in touch with the front of the rally. The first night was where road position perhaps had the biggest impact, something that we were acutely aware of. Having been allocated a poor starting position we knew that it was crucial to get as high up the field as possible, certainly by jumping the maximum thirty places on the seeding stage, but also pushing hard to pass as many others as possible before we reached the sand of the Sunset Country. The Bordertown bog was an unexpected challenge but fortunately we had moved far enough up the field to be able to negotiate it without too much trouble. Having placed fifteenth into Adelaide, we probably were never below position 20 on the road for the rest of the event, even counting the interlopers that snuck ahead of us on the road. It made a huge difference. After Darwin we were almost always in the top ten on the road and it made such a difference to our morale. The approach of crews to the really tough stages was also important to their ultimate success. There were times when it really was necessary to back off, and places where it was beneficial to stop and get out of the car to do a reconnaissance on foot. Brock’s crew did this on the Nunyerry Horror Stage and it arguably won them the event. Of course we were not fighting to win the event so had the relative luxury of being able to back off in places where the main contenders perhaps could not afford to do so. Even the rough Flinders Ranges stages before Broken Hill needed to be treated with care, as was evidenced by the largish list of retirements on that part of the event. I was quite surprised at the pace being set by the leaders over some very rough terrain and wondered whether their cars would eventually break. Some did, some didn’t. I was not so surprised at the pace of the Commodores, and indeed the Cortinas, on some of the stages that included quite a lot of very fast roads. The Commodores had a top speed a tad over 200 km/h whereas our Celica needed a while to creep up over 150 km/h, and that differential quickly added up to a lot of time if a stage included some flat out roads, as many did. The difference was just as evident between us and say the Watson/Harrowfield Peugeot which needed a tail wind to get much over 130 km/h, which really hurt them on some of the fast stages. Punctures were certainly a big factor which can’t just be put down to driver error or incorrect tyre pressures, although these certainly had a bearing. The fact was that back then, some crews had really good tyres, such as those developed specifically for the East African Safari, whereas others had ordinary all round tyres, such as the good old SP44s that we ran. On the Nullarbor the difference was stark. It remains a mystery to me how some of the cars (Ferguson and Bond in particular) got through the Nullarbor seemingly without a single puncture. On the other hand, having punctured many times and then having decided to go really carefully, we dropped a third of our total event score on the Nullarbor. Finally, service backup was a factor but perhaps not quite as great as some people made out. Certainly being able to change key components at regular intervals was important, and being able to deal with problems in a timely manner was crucial. George Shepheard obviously trumped everyone else in this regard, and it was an important factor in their stunning 1-2-3 win, but I personally wouldn’t say it was as important as car and crew pre-event preparation. We had the good fortune to have no major mechanical problems with the Celica and so we did not have to rely on our service backup too much. In some cases this was fortunate, because they were sometimes trying to catch up with us! But they were certainly there when we needed them, especially to replace punctured tyres and to carry out the major preventative services at the start of each division and in Port Hedland. G'day Ian. I stumbled on this site after doing a google search about the 1979 trial, I was 8 the year it happened. I was a big fan of Peter Brock and the MHDT, and always found info about the trial hard to come by. I have memories of the finish of the trial, Peter Brock signed an official Repco magazine for me. It had articles of the racem drivers, cars, and a big pull out picture of Brocks car. Dad had a part time job in those days delivering milk, and also cleaning offices and whatnot, and one of the places he cleaned weekly was the Repco building in Reservoir, the place where I got the Magazines. I remember hearing all sorts of things about the race, and wasn't sure what was fact and what was fiction. Drivers not wearing helmets, the cars not having roll cages, and entrants regular seat belts not harnesses. I doubt much that a race like that would run in this day and age, and certainly not sections on open public rode as it did in 1979. I remember hearing stories before the 79 race from my Dad and Grandfather about those old Redex trials, Gelignite Jack and all the rest of it. When The 1979 race started, th idea of it really caught my eye, and I followed it religiously as it happened. If I remember right, Noel Richards who I think was in one of the MHDT cars, could be your Brother, is that right? I don't know Mate if you add to this blog much anymore, or even if you read it, but I'd love to hear from you if you do. I'm hoping you have suggestions for books I could look out for, and places for info about the trial. Johann is my name, malwhitehot@hotmail.com my email.